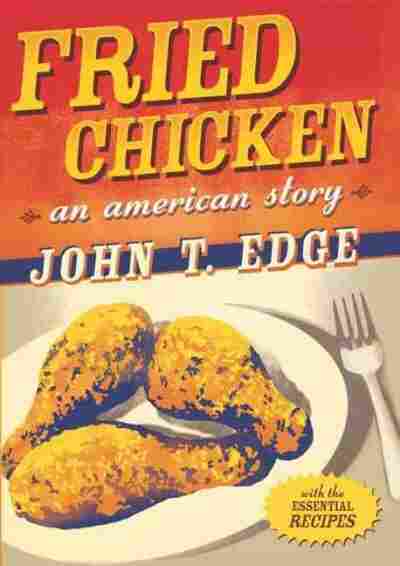 A Culture Revealed Through Comfort Food In a series of short books, writer John T. Edge, director of the Southern Foodways Alliance, has celebrated American culture through food. He tells Debbie Elliott about the latest, Hamburgers and Fries. 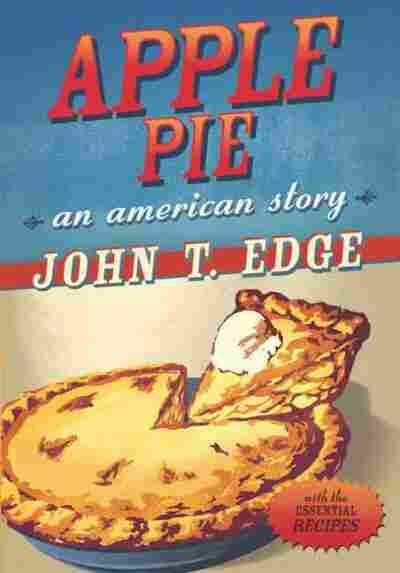 In a series of short books, writer John T. Edge, director of the Southern Foodways Alliance, has celebrated American culture through food. He tells Debbie Elliott about the latest, Hamburgers and Fries. Read an excerpt from the book, and find recipes at the bottom of this page. Google hamburger history, and you'll soon be reading of thirteenth-century warlord Genghis Khan and his fierce cavalry. According to prevailing Internet wisdom (not to mention a goodly number of books), the Mongol leader of the Golden Horde did more than merely conquer vast swathes of the globe. Indeed, the emperor of all emperors invented the hamburger. After a morning of traversing, say, the arid steppes, tough meat emerged tenderized. All a hungry warrior need do was reach beneath his saddle, scoop out a patty of meat, and chomp away. Returning to the Internet to probe deeper, you might read of Genghis's grandson, Kublai Khan, who invaded Moscow in 1238, bringing with him a taste for pounded meat. Of course, the Russians also recognized the superiority of this technique and soon adapted it for their own purposes, garnishing chopped raw mutton (and later beef) with onion and egg and dubbing the dish steak Tartar -- Tartar being their name for the Mongols. Somewhere along the way, say, in the sixteenth century, ships from Hamburg, the most important German port of the day, began to cross the Baltic Sea with regularity, docking at Russian ports where minced beef dishes were popular. And soon German seamen returned home with a taste for minced raw beef. But their wives, inured to the foul habits seamen pick up while away from home, refused to serve such barbaric fare. Instead, the Hamburg fraus began frying and broiling those patties. Turns out the women of Hamburg were quite good at it, so good that seafaring men of many a nation came to know a cooked patty of minced beef as a Hamburg steak. Sure, it would take a few centuries and a transoceanic leap before the steak met bun -- not to mention fries and ketchup -- but there you have it: the basic story, in all its facile glory, of how the Mongol horde begat the Big Mac. This tale is flawed. The history of proletarian dishes like hamburgers is rarely explained by a linear progression of events. Mongols did not invent chopped meat -- such dishes were popular back in the days of the Roman Empire. In fact, as Los Angeles burger hound Charles Perry has pointed out, a second-century Roman cookbook features an entire chapter of chopped meat dishes. And yet there is much to ponder in the telling of the tale, much that is uniquely American. Take those Mongols. Substitute ten-gallon Stetsons for their traditional fur-trimmed skull caps, take into account dependence upon equine locomotion, and soon they begin to resemble the chap-clad cowboys who ranged America's frontiers. Perhaps one of the reasons so many Americans have latched onto this story is that, in the telling, we recognize a bit of our own myth-making. Take into account the Mongols' need to eat while riding, and you see a glimmer of the peripatetic Americans whose wanderlust would reach fullest flower in the 1950s, when the automobile became the darling of the working class and hamburgers proved to be ideal on-the-go sustenance. 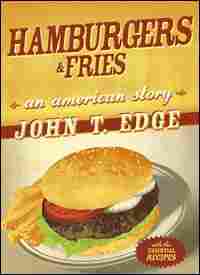 The true story of the hamburger's origins is more prosaic. Of course Hamburg, Germany, plays a role. But the real action takes place in America, where Hamburg steaks beget hamburg steaks, hamburgs, hamburgers, and, finally -- by means of the cumulative effects of distillatory coinage -- burgers. The writings of epicurean Louis Szathmary reveal that, by the late 1700s, sausages of minced and seasoned beef were known to the British as Hamburg sausages. By as early as 1834, the menu of Delmonico's in New York City advertised a Hamburger steak. The circa 1850 popularization of the commercially produced meat grinder provided further propulsion. Newspaper morgues yielded more clues. An 1889 edition of the Walla Walla Union of Washington State describes a hash house where patrons learned their choices from a barker who chanted "porkchopsbeefsteakhamandeggshamburgsteakorliver." In addition to confirming that Hamburg steak had, by the late 1800s, become part of the American vernacular, the Walla Walla reference illustrates that the proto-burger had achieved bicoastal status. "When in Hamburg, we supposed we must do as the Hamburgers did," reported a European correspondent. "[S]o at our first meal, we asked for Hamburg steak. Besides, we wanted to see how that viand would taste upon its native heath... But to all our requests, couched in our best scholastic German, the waiter shook his head. Like many another prophet, the Hamburg steak was apparently without honor in its own country... 'Oh well,' we said, 'just bring us an ordinary beef steak.' But lo and behold, when the meat was served, there it was all chopped up and made into small cakes -- what Americans call in fact, 'Hamburg steak!'" To a resident of Hamburg, Germany, at the cusp of the twentieth century, fried cakes of minced beef and chopped onions, bound with a bit of egg or bread crumbs, were steaks. Not Hamburg steaks. Not steaks cooked in the Hamburg style. Just steaks. No further explanation is needed. That's how it's done around Hamburg. Only in a foreign land like America is the modifier Hamburg required to make an eater's preferences known. Zathmary was a slab of a man, with quick, glinting eyes and a Fu Manchu mustache. In every picture I've seen, he appears resplendent in a white chef's coat and a pleated toque. Born in Budapest, Hungary, in 1919, he received a master's in journalism and a doctorate in psychology before sailing into New York harbor in 1951 aboard the S.S. Hershey. He arrived with one dollar and ten cents to his name. And he arrived hungry. Szathmary’s brother, Geza, met him at the gangplank and directed Louis to a nearby burger stand. There, he tasted a burger topped with "ketchup, mustard, chopped onions, piccalilli, French fries, a slice of tomato, a piece of wilted lettuce," all tucked inside a bun that "vaguely resembled an Austrian Kaiser roll, but was slightly sweet, had a soft texture on the outside, and a thin crunchy surface from the griddle." From that first bite, Louis Szathmary was hooked. "That hamburger was pure heaven," he recalled. "I will remember its taste forever." To finance future burgers, Szathmary followed an immigrant's path: He took a restaurant job. At the time, he saw it as a stopgap measure. But his wartime training in Hungarian army canteens proved to be a more easily marketed skill than psychology. 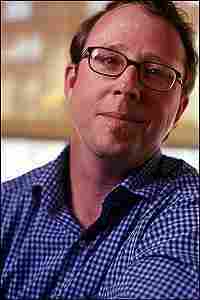 Within four years, he was executive chef of the Mutual Broadcasting System, the largest network of radio stations in the nation. In succeeding decades, he worked as a culinary consultant, developing, among other foodstuffs, frozen dinners for Stouffer's. By the early 1960s, he operated his own Chicago restaurant, The Bakery. When Szathmary wasn't cooking, he was collecting books and culinary ephemera. Along the way, he got his hands on a handwritten grocery list penned by John Hancock; a menu from Abraham Lincoln’s 1865 inaugural banquet; and a letter from a neighbor to Ben Franklin, asking Betsy Franklin for advice on ridding salt pork of maggots. Szathmary realized the value of such items at a time when few others did. And God bless him, Szathmary realized the import of hamburger lore and idiom, the promise of which led me to Johnson & Wales University in Providence, Rhode Island, where, until recently, Szathmary’s daughter, Barbara Kuck, managed his culinary collection. When I call Barbara to make arrangements, she says in not so many words, "What took you so long?" Szathmary consulted 3,232 ground beef recipes in 1,108 cookbooks and found that, in the first decade of the twentieth century, the term "hamburger" was used eleven times in a recipe title. (That's earlier and perhaps more frequently than prevailing citations.) What's more, he divined that, by the 1930s, cooks were already playing fast and loose with burgers, adding, among other things, brown sugar and chopped gherkins to the mix. In other words, when most people would place the burger at the brink of canonization, Szathmary was documenting its evolution. But what really makes my heart go pitter-patter is a book I find at the back of the box, Hamburger for America and the World: A Handbook of the Transworld Hamburger Culture. It's a 133-page monograph, written by Gyula Decsy of Bloomington, Indiana, and published in 1984 as part of a series that examined "national identity from the point of view of global anthropology." In addition to an 808-entry accounting of Decsy's Hamburgensia Collection -- everything from a 1976 vintage box of Gaines Burgers dog food, to a 1984 Good Morning America transcript reference to a Chinese burger corporation then operating in the U.S. -- it includes an introduction by Szathmary. The big man makes some interesting points, among them that Americans glommed on to hamburgers because, during our nation's formative years, we were largely a bachelor workforce, lacking female companions and cooks. Women have historically braised meat, he points out; they tend to cook roasts slowly in simmering liquid. Men typically cook meats with dry heat, by broiling and grilling and griddling. And so, according to Szathmary, in male-dominated America, dry-cooked burgers came to the fore. In succeeding paragraphs, Szathmary also argues that men embraced burgers because buns reminded them of the maternal bosom. And he posits that the very name hamburg(er) conjured a randy seaport with "the most notorious nightlife stablishments of the continental shoreline." But his theories of gender and ground beef do greatest service to our cause of understanding when he turns his attention to a reading of immigration. "When the immigrants came from the Germanic, Scandinavian, and other northern parts of Europe," Szathmary wrote, "the main port of embarkation for the New World used to be Hamburg. This was the last city in Europe, regardless of where the emigrant came from. He could be a Czech from Prague, a Bavarian from Munich, a Saxon from Leipzig, a Prussian from Berlin, a Pole from Warsaw -- the last piece of European soil he felt under his feet was the soil of Hamburg. This was the place of farewell from the Old World, from family, from mother, sister, wife, daughter, sweetheart; in other words, from any and every female companionship." Decsy also assumes this line of thought in his opening remarks. He, too, believes the act of immigration is key, though he doesn't embrace Szathmary's gender theories. Decsy imagines the many ethnic groups who booked passage for America from the port of Hamburg. He enumerates the names each ascribe to their favorite ground meat dishes, the frikadelle of Northern Germany and the faschiert of Germanic Austria, the Slovak fasirka, the Polish farsz, the Hungarian fasirozott. And then he asks you to hear these men aboard the boats of the Hamburg-German Line, bantering back and forth, concocting a pidgin dialect of their own, a dialect wherein Hamburg steak comes to mean patty of ground meat to many people. By this point, steak cooked in the manner of Hamburg has lost its moorings. It's no longer appropriate to identify it as a product of Hamburg, Germany. Instead it becomes a culinary lingua franca for all manner of griddled and broiled meat patties. Of course, natives of central Europe may believe that something of import was lost in translation. And they're probably right; but it could be worse. Consider, for example, that all-American treat, Vienna sausages. Something tells me that the sons and daughters of Vienna, Austria, would never deign to recognize their beloved wursts in our tinned nubs of emulsified chicken and pork, bound by corn syrup and hydrolyzed soy protein, and brightened by a soupcon of sodium nitrate. 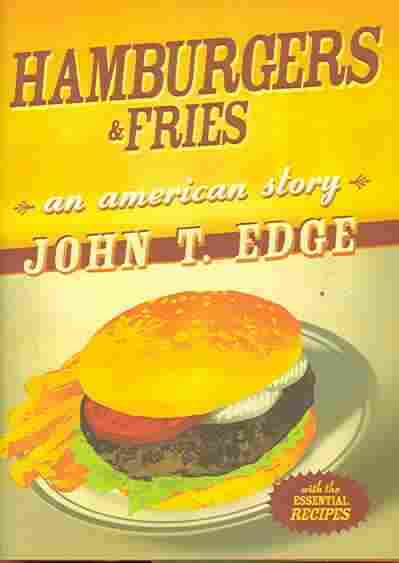 Reprinted from Hamburgers & Fries by John T. Edge by arrangement with G.P. The earlier reference to Hamburg sausages was from The Art of Cookery Made Plain and Easy, written by Englishwoman Hanna Glasse, and originally published in 1747. Szathmary likely looked to the 1803 revision, published in Virginia, for inspiration when, in 1986, he developed this modern interpretation. Szathmary suggests serving the patties on "lightly toasted English muffin[s] with mustard and a slice of onion, but no lettuce and tomato." If the butcher hasn't ground your meat, proceed with the grinding instructions as specified in the ingredient list. Place in a bowl, cover, and refrigerate. Set aside the once-ground meat. To the twice-ground meat, add salt, pepper, cloves, mace, marjoram, and eggs, working together with your hands until the mixture is well combined, almost smooth in texture. Let the mixture stand, covered, on your counter, for 1 hour. Then refrigerate for at least 5 hours (or overnight). Gently combine the two meats, working to distribute the egg-rich beef into the once-ground beef. Form into 8 patties and place in the freezer for 15 minutes. Remove and pan-fry for 2 minutes per side or until the patty juices run clear when pierced. Serve, as Szathmary would have it, topped with onion on mustard-smeared English muffins. Serves 8 Please note that the mixture must stand and then chill 6 hours before cooking. You may want to ask the butcher to grind the meat for you according to the preceding directions, or you can do it at home. This is the recipe that surprises everyone. It's too simple to be good, they say. It's too straightforward. And then they taste it. And they're soon fellow acolytes of the onion burger church. While working on this book, I turned most often to this recipe. More than any other way with a burger, it fueled my writings and ruminations. Heat a heavy, well-oiled skillet over medium-high heat for 5 minutes. Loosely gather a handful of meat and slip it into the pan. Repeat a total of 6 times, working in batches as needed. The burgers should be free from lumps. With the side of a spatula, push the burgers into a semblance of a round. After about a minute, pile on all the onions, add half the salt, and then, with as much force as you can manage, smash the onions into the meat. Again, work the sides of the patties into a round. Cook another minute and then flip. Smash the burgers again, hard. Drain some of the grease that collects. Sprinkle on the remaining salt. Arrange the cheese on top and cook until the cheese melts and you smell the onions starting to burn. Throughout much of the South, pimento cheese is commonly served one of two ways: stuffed in the hollows of celery stalks and passed as cocktail food, or spread on sliced white bread and eaten as a sandwich. These are simple, almost ascetic; not so this burger. It's a molten stack of meat and goo. It's also delicious. One note: Don't upset the tremulous balance of condiments. Don't ladle on chili like they did at the Diary Bar. And stay the hand of friends and family who reach for ketchup and mustard. Trust me, you have all you need, smack dab in that pimento cheese. Combine the cheese, drained pimentos, sage, black pepper, scallions and sugar in a large mixing bowl. Stir in the mayonnaise and work into a chunky paste. Chill the pimento cheese if not using right away. Remove the pimento cheese from the refrigerator before you start cooking the burgers -- it needs a few minutes to soften. You will have a lot of pimento cheese left over, which is, after all, the point. Combine the ground chuck, salt and pepper in a bowl. Form the mix into four patties. Heat a heavy skillet over medium-high heat. Place the patties in the skillet and cook each side for 3 to 4 minutes for medium-rare. Slather the buns with pimento cheese, add the patties and sheaths of lettuce, maybe slices of tomato.